Fuerteventura Guide. 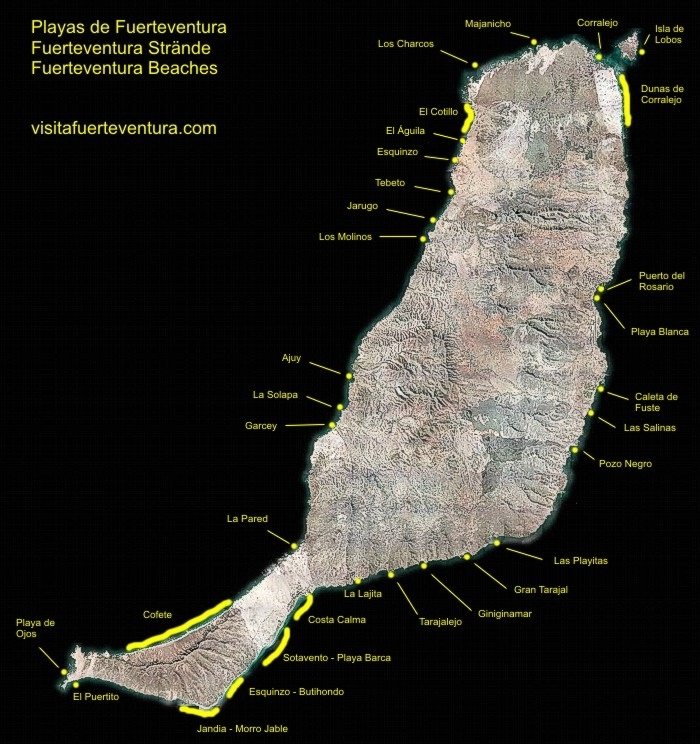 Fuerteventura Beaches Guide. The best beaches in Canary Island. Fuerteventura Beaches. The best beaches in Fuerteventura. They are probably the best beaches in Spain and this is the main attraction of the island of Fuerteventura. In one of its beaches (Playa Barca - Sotavento), are held every year one of the rounds of the World Windsurfing and Kiteboarding, internationally recognized.